The war for talent in the workplace means that every interviewer, and potential employer, are now under just as much scrutiny as the candidate. Learn how to use your leadership skills to benefit your company and get it right at interview time, for both parties. An interview is about so much more than just questions! 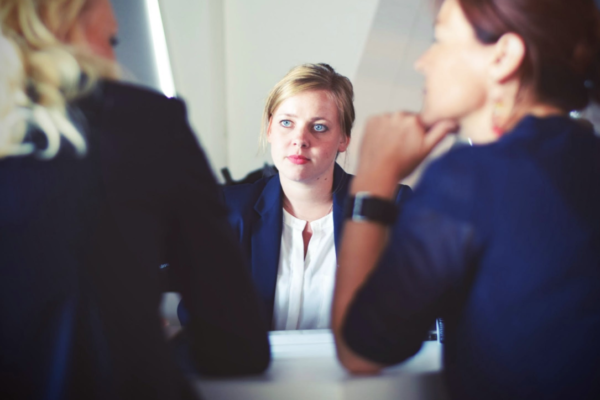 When it comes to interview situations, many have a stereotypical vision of the interviewer sitting in a position of power, firing questions at a nervous candidate, who is desperate to prove they are the right choice for the role. In recent years however, the purpose of an interview has absolutely changed. The war for talent means that every interviewer, and potential employer, are under just as much scrutiny as the candidate. When an interviewer enters that situation, not only are they there to determine whether the candidate is a good match for the organisation, but also to impress and engage the candidate enough to make them want to select them as their boss! There is no doubt that, just as in any given work situation, your leadership skills are required during every interview you conduct. The challenge is to create an excellent impression, build rapport with the individual you meet and gaining all the necessary information that you require, in order to make a hiring decision. To make matters worse, this is all condensed into a period of usually less than an hour. So, while you may have your list of interview questions ready to go, what else needs to be considered to get the most successful possible outcome from an interview situation? There is absolutely nothing worse than a candidate who turns up for an interview, having prepared a whole host of highly predictable stock answers to questions. So to avoid this, why not consider avoiding the possibility of hearing stock answers by asking some interesting and inspiring questions yourself? Preparation is key for any interview. Understand exactly what you want to gain from the meeting and design your questions so that you are able to extract the information that you need from the candidate. Set your intentions prior to it starting. Decide what you want to know, what skills you want the candidate to demonstrate and what experiences you want them to explain so that you can better understand their ability and work history. Spend time before the interview reviewing the candidate’s CV and pick out the relevant information and skills that you want to focus on. Design your questions to give the individual the opportunity to demonstrate the value that they can add to the position in question. As a general rule, open-ended questions are the best option for any interview, and will allow you to not only break the ice, but to make the candidate feel more relaxed and comfortable. In turn, this will also increase their chances of performing well. Getting to know the individual with simple questions can help you understand more about their personality, their career aspirations, and their career focus. What do you consider to be your greatest professional achievement so far? It is the same skills that make you effective in the workplace, that will see you succeed within an interview situation. True leadership behaviours must be present each time you meet a potential future team member. This way, you will create trust, build rapport and get the best out of the individual you are meeting. The greatest skill of any interviewer, is the ability to make a conversation flow, and therefore to find out as much information as possible about the person you are meeting with. Listening, empathising, prompting and understanding will put your candidate at ease and help you to learn more about them and their work life achievements. One of the best ways to build rapport with a candidate, is to offer as much information and guidance as you can during the interview. Always remember that your candidate has not attended just to be grilled on their skill and experience. They have come to learn more about the company, and the opportunity. A huge factor in whether they would accept the role if offered, is whether they feel that you are the right kind of manager or leader to help shape their career. Consider talking about how you got started in your career and the industry, what your experiences have been, what it’s like to work for the company and the interesting projects that you are currently working on. Giving your personal experience of working within the company will allow you to build rapport with the candidate. It will also hopefully inspire them and interest them enough to want to be part of the team. Be willing to answer their questions and help them to make the right career decision for their future too. Universally recognised as a strength of good leaders, authenticity is key within every interview situation. 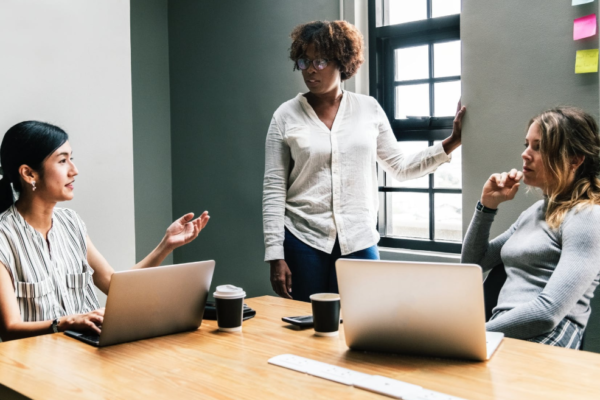 Not only do you want to build trust with this potential team member, but you also want them to have a clear idea of who you are and the type of person they would be working with. Showcasing your natural leadership style within an interview is a positive way of attracting the right talent to your team. It is imperative that you connect with and recruit people who are going to fit within your team and respond to you as a manager and a leader. Don’t forget that the candidate will be thinking about whether you are the type of person that they could work for too. By remaining true to yourself, you are increasing the chances of connecting and engaging with the right people for your team. ‘Employer Brand’ is the term used to describe an organisation’s reputation as an employer and its value proposition to its employees. To understand it further, think of an organisation’s corporate brand. Their brand is how they are perceived within the marketplace, the reputation they have and the value that they offer their customers. The employer brand is a very similar concept. However, rather than focusing on customers, it is just built around what the organisation is like to work for and what they offer the people who work for them. Every company wants to be an ’employer of choice’. In order to be successful and to continue to grow, they must attract, recruit and retain top talent. To be able to do this, they must communicate their reputation as an employer and state why people should consider joining the organisation in order to develop their own career. We live in the information age, and today’s talented workforce wants to know as much as possible about a potential employer, so that they can make informed career decisions. It is no longer enough to state that your organisation offers a ‘competitive salary, good benefits and training and development opportunities’, candidates are researching employers to find out much more detailed information about many other aspects that could influence their decision to join…or not. They include: company culture, working environment, training and development opportunities, commitments to charitable causes and corporate social responsibility. They also include mentoring and colleague support opportunities and perhaps most importantly, what other employees think about working within the organisation. Essentially an employer brand, and the employee value proposition that it conveys, should communicate to candidates why they should join the organisation, and crucially, why they should stay. You want to hire people who connect with the organisation and its values and who complement and work well within the culture and environment. In order to achieve this, it is your role as a manager and interviewer to have a strong understanding of your organisations employer brand, and to remain consistent to it when you are engaging potential talent. Take the time to understand your organisation’s employer brand and its employee value proposition. They are typically designed and written by a human resources department or an internal employer branding professional. Normal practice is for information to be visible on company careers pages or other media used for the attraction of talent. When interviewing, you need to have a clear idea of what makes your organisation unique and attractive as a potential employer. Think of this in terms of motivation, as an interviewer you want to give the candidate reasons for wanting to join the organisation. Ultimately, your ability to communicate this to potential talent, could be the difference between them choosing your job offer over another. The concept of ‘candidate experience’ is relatively new within the realms of internal resourcing and human resources. To ensure that every candidate experience is a positive one, is a challenge for any organisation. It does however, have almost basic fundamentals, ones that as a manager you can be aware of, to increase your chances of engaging top talent. Candidate experience is defined as ‘how job seekers perceive and react to an employers’ sourcing, recruiting, interviewing, hiring and on-boarding process’. Essentially, that perception is determined by how those job seekers are treated at each stage of the process by both the organisation and the individuals who represent that organisation. Ultimately, candidate experience is all about treating jobseekers with honesty, transparency and respect. Now that so much of people’s views, opinions and experiences are widely accessible over the internet, it is imperative that an organisation that is trying to attract top talent, provides a positive experience for any candidates. If it doesn’t, we also know that jobseekers are more than happy to socially share their negative experiences with anyone who will listen. For some organisations, the candidates interviewed are, quite literally, their customers too. Leading brands invest considerable time and resources into ensuring that consumer experience is highly positive and candidate experience should really be viewed in exactly the same way. Earlier in this paper, we spoke about employer brand and the perception that potential talent has of an organisation. The biggest threat to that brand is negative perceptions caused as a result of bad candidate experiences, and the passing on of this information. This is particularly relevant in high volume recruiting projects such as graduate recruitment because the younger generations are more digitally savvy and more likely to research and share their experiences online. When communicating with any of your peers, be they potential or existing colleagues, it is important to ensure that you remain true to your natural leadership style. Treating candidates with respect and being open and honest will all have a positive effect on their experience with your organisation. The moment a candidate applies, it is important to get it right. From the reply they receive from the organisation to the communication regarding their screening or interview, from the welcome they receive to the people they meet. They all contribute towards building their perception of the employer. Your role as an interviewer is a representative of the organisation and how you treat them matters. Taking time to talk and listen, understand their career aspirations and to offer guidance, will result in a positive experience. It is also important to remember that unsuccessful applicants and candidates deserve respect too. Unsuccessful applications should always receive notification and, where possible, it is best practice to offer detailed feedback to candidates who have made the effort to attend an interview, but have been unsuccessful.